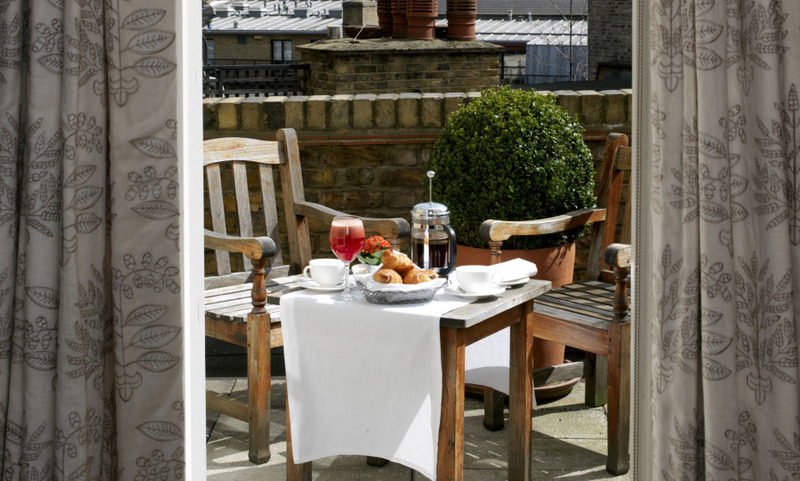 Covent Garden Hotel is situated in the heart of the theatre district and is just a short walk to the Royal Opera House, Soho and within easy reach of the city's business centre. It is surrounded by some of London's best restaurants and bars, theatre, nightlife and shopping. Stylish and glamorous place to have Afternoon Tea. Catching a movie at the hotel’s exclusive, state-of-the-art cinema. The wood panelled drawing room with its French stone fireplace. Overall, we loved it. The room was very comfortable and spotlessly clean. The staff in the restaurant &amp; room service were extraordinary. They made our stay VERY special. This is a fabulous Hotel, all the way around. We found every single person to be pleasant and eager to please. We definitely would visit there again. Fantastic experience. Appreciated the room upgrade and all the small niceties. Staff -- to a person -- was efficient, courteous, charming and friendly. We will come back again and again! Excellent staff, excellent rooms, excellent restaurant. Highly recommended as probably the best hotel we have stayed in anywhere in the world. One of finest hotels we’ve ever stayed at and we typically stay at 5 star hotels. All aspects of the stay were personalized. We would go back in a heartbeat. I’ve already recommended the hotel to two friends. I have stayed at Firmdale Hotels before. Always good. Liked the location of the Covent Garden Hotel. Would come back. It was great. I love the hotel, room and the decoration. I loved the fireplace the library. Wonderful hotel with truly great service, friendly and very helpful. I would definitely come back, friendly helpful staff, beautiful hotel, clean I was very well impressed!! This is a beautiful hotel. with a great staff and great location. We would most likely stay here again if we are traveling to London. One of the best hotel experiences. From the friendliness of the staff, personalized attention, warm and cozy ambiance and great &quot;extras&quot; with the L club membership, cannot say enough positive things. Thank you for a memorable stay. Lovely,friendly hotel in a great location. Library area a unique and perfect addition to the hotel. Honesty bar a wonderful addition. I absolutely loved the Covent Garden Hotel. Fantastic room and common areas and everybody was incredibly helpful and friendly. I would give the hotel higher marks if there was a higher number. I hope to stay at Covent Garden Hotel again and will also seek out the other hotels in this group (I believe it's the Firmdale Group). I love the style and the service and everything about the hotel was excellent. Quirky decor. great location and excellent understated front desk and concierge. Covent Garden Hotel is small enough to be friendly. It's located in a charming part of London and is beautifully appointed with a charming restaurant and very close to a theater and opera. I loved it and especially its magnificent decoration. I felt at home right away. All the staff were attentive and pleasant. I ate every night at the Max brasserie, good quality restaurant offering a creative fusion cuisine and very tasty. And I really want to come back! This boutique hotel was beautifully decorated and a pleasure to be a guest in, whether you were there for business or leisure. Excellent hotel and service. We enjoyed every moment. A wonderful hotel to stay in. It is in a central area, everyone we encountered was polite and helpful and overall just top-notch! We had a lovely, lovely time! I thought the Covent Garden Hotel was one of the absolute top places I've stayed. The decor and design were beautiful. Food and service were very good, but it was the accommodating, professional and friendly staff that made the difference! I write about food and travel and this is one of the best experiences I've had in the last 5 years. Kudos to the Covent Garden staff and management team! Simply the best. Loved the hotel. Staff was wonderful. Loved my stay. LOVED IT! The Covent Garden has become one of my favorite hotels. Every staff member was exceptional and our rooms were fantastic.